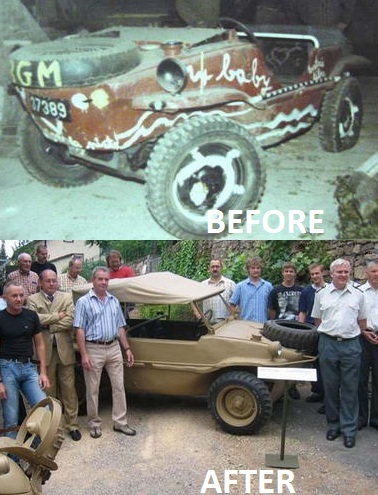 Perhaps one of the most amazing restorations, incredible! 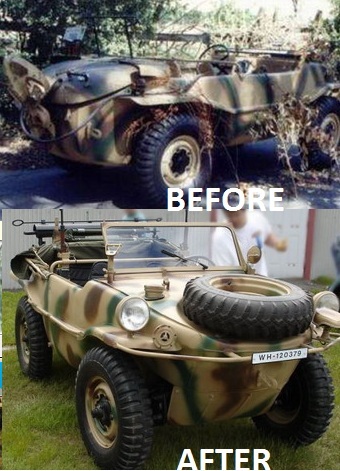 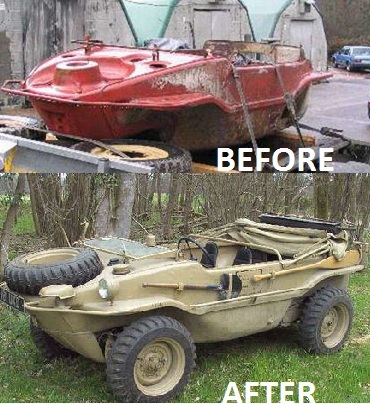 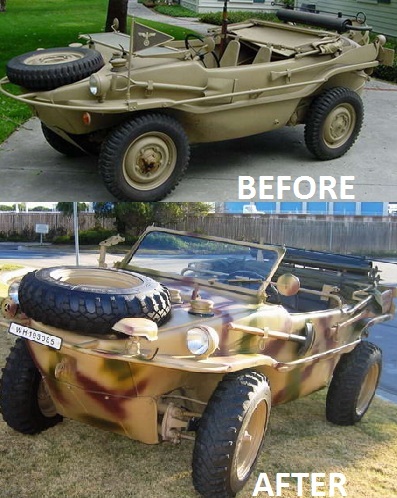 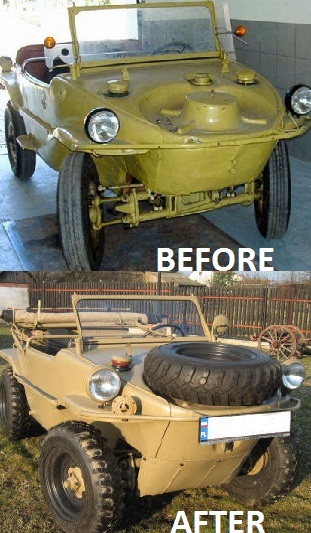 This car was used on the Russian Front in the Summer of 1943 before being shipped to the USA. 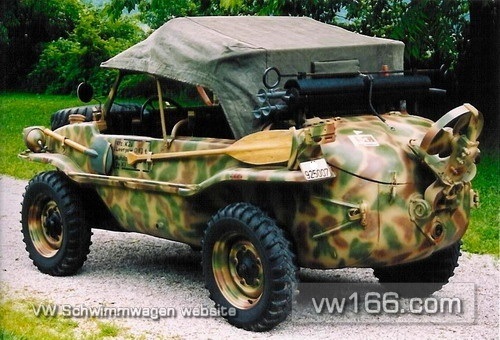 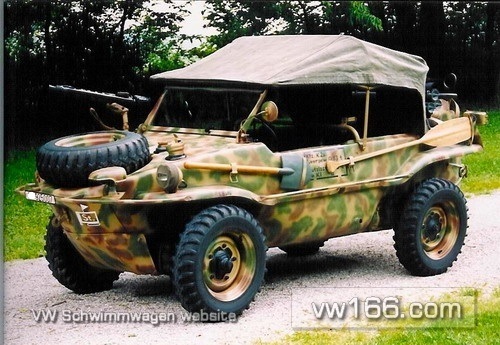 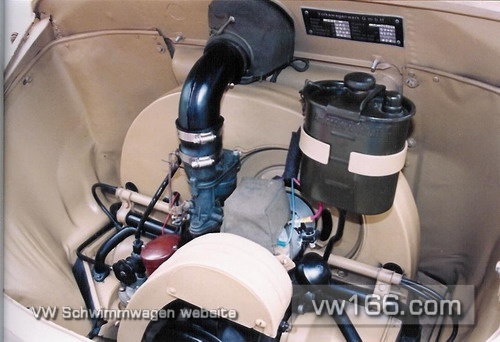 The VW166 has a 1953 75 hp super Porsche engine with 40mm Solex carbs. 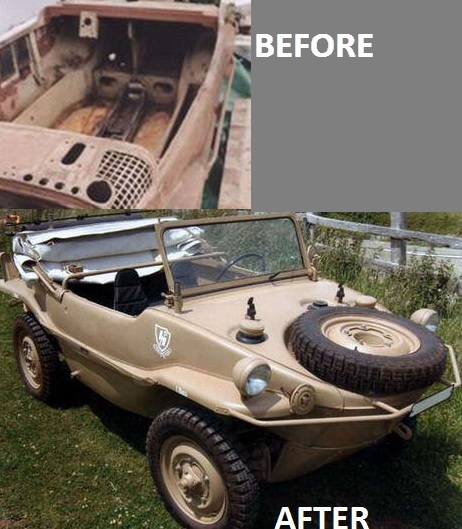 The steering wheel and dash are not original. 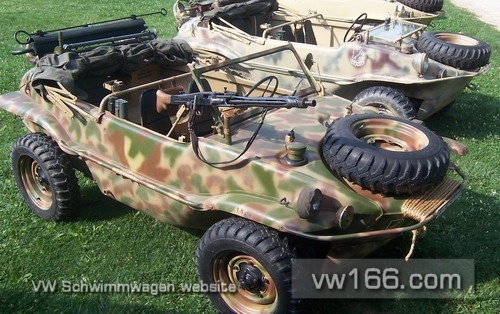 Also it has a later dash configuration with 1953 Porsche tachometer and speedometer. 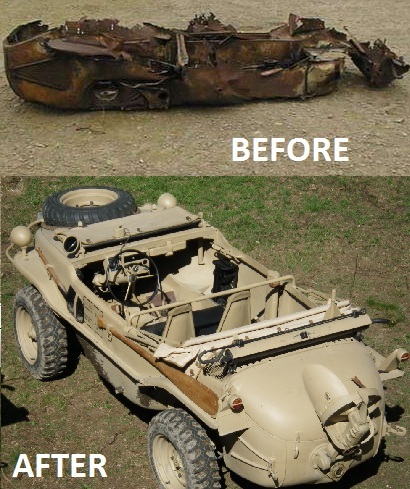 Luckily the body was in rather good condition.